Big House is a 7 bedroom/4.5 bath, 3-level, single-family home in Snowshoe, West Virginia. It is located in Hawthorne Valley within Snowshoe Mountain Resort. This home is 4,100 square feet in size! A 4-wheel-drive vehicle is recommended for guests who rent this home in winter. This home features 1,200 square feet of outdoor decking, of which a 400-square-foot section is covered. The deck offers an outdoor fireplace. Big House includes two living rooms, one of which has a game room. 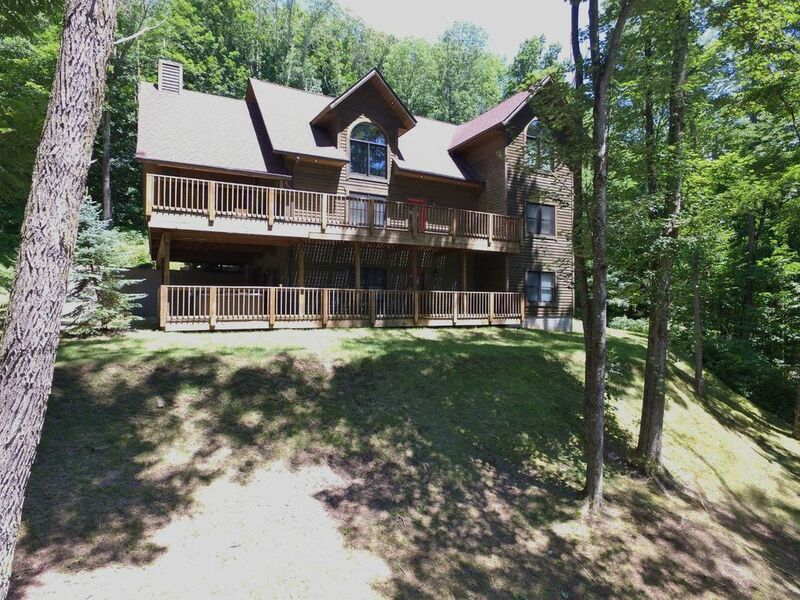 Big House is a 7 bedroom/4.5 bath, 3-level, single-family home in Snowshoe, West Virginia. It is located in Hawthorne Valley within Snowshoe Mountain Resort. This home is 4,100 square feet in size! A 4-wheel-drive vehicle is recommended for guests who rent this home in winter. This home features 1,200 square feet of outdoor decking, of which a 400-square-foot section is covered. The deck offers an outdoor fireplace. Big House includes two living rooms, one of which has a game room. Bumper Pool Table which converts into a Poker Table and Dining Table. Overall served our needs. House definitely needs some maintenance attention. Floors stained and deck railing rotted. Grill out of propane. Thank you very much for sending us a review, and for making us aware of the issues you experienced during your stay. I am so sorry that your visit to our home was not as you expected. Housekeeping has been advised of your feedback on the poor quality of the cleaning prior to your stay, and is actively taking steps to ensure this does not happen again. This home is now scheduled for an annual deep clean and thorough maintenance inspection from top to bottom, and all these items will all be addressed. Due to your feedback we have already steam cleaned the carpets, and the tile floors have been hand scrubbed. We also purchased a new grill for the house, and it will be delivered today. We thank you for your detailed feedback, and please know that we are in process of correcting these issues. My children rented this home for a 50th Anniversary get-together over the weekend of June 16-18. We found this home very well equipped, spacious for a large family. I would recommend this rental for anyone looking for a larger home. Loved the mountains! Owners were very cooperative with all the requests our children had to make this a very special celebration.